Luxury modern style new apartments and penthouses for sale in Golden Mile - Marbella Stunning apartments and penthouses located in a gated complex in one of the best sought after areas in Marbella settled in one of the most exclusive urbanizations of Marbella on the Golden Mile. Very green and tranquil residential luxury urbanization with communal pool and gardens. Only 2 minutes drive to Marbella centre and the Golden Mile. We can enjoy panoramic unobstructed views to the coast line, sea up to the African coast. READY TO MOVE IN. Sold out: We have resales available. 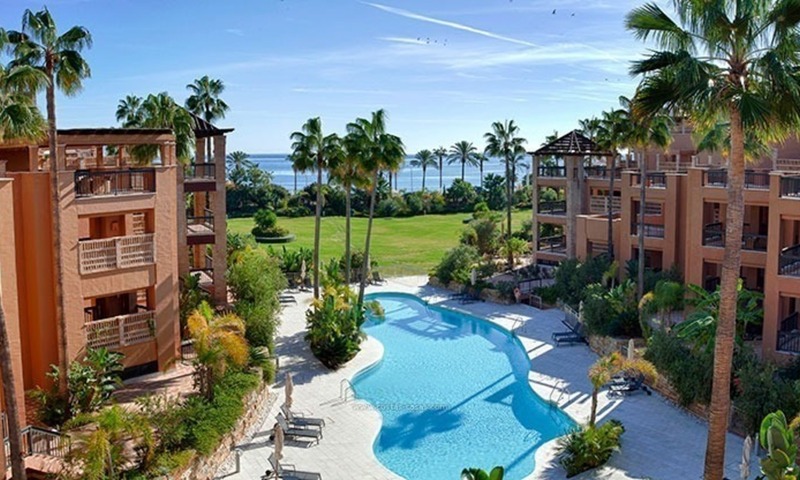 Luxury golf apartments for sale in a golf resort between Marbella and Estepona centre First line golf resort gated complex with 24h. 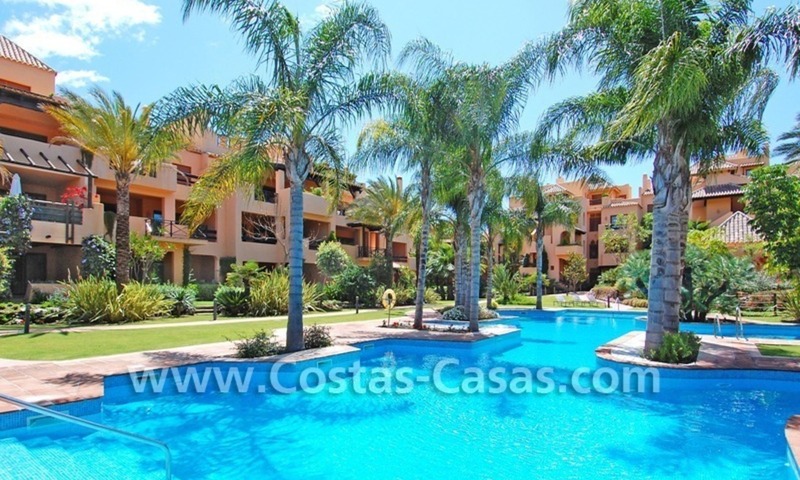 security, well maintained communal tropical gardens, spa, gym, and swimming pools with cascade, only at 2 minutes drive from shopping centres, amenities, shops and restaurants and 5 minutes drive to Puerto Banus. Social club available for the owners where we can find a where we can find kid’s play room, a pro shop, internet access, a game’s room with a pool table, restaurant & bar and a members’ lounge with open fireplace. South and southwest facing apartments. Only 2 penthouses left or resales! Those penthouses come with brand new interior design! 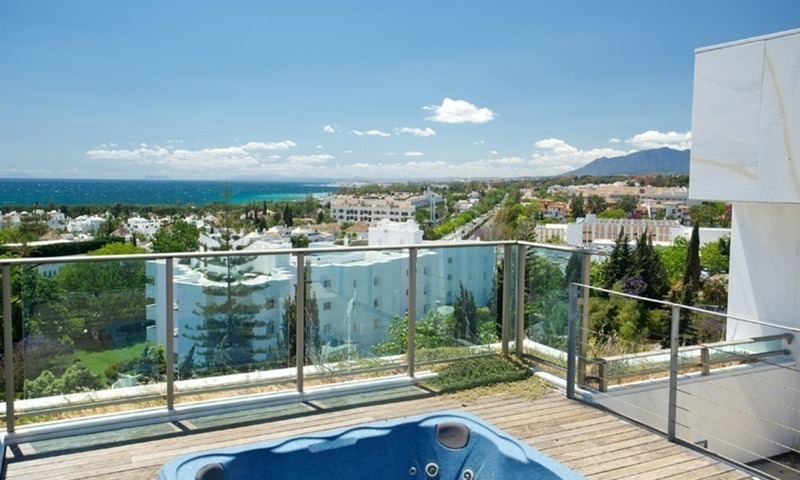 Located on the Golden Mile being less than 1km from the beach and right between Marbella centre and Puerto Banus. The penthouse have sea and mountain view, as well as some of the apartments.